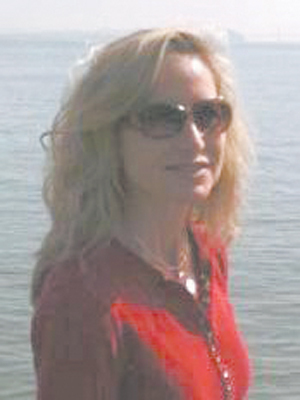 Connie Deonne Marsh, 47, of Sherwood, Ore., passed away on Monday, June 24. She was born in Tooele on Feb. 24, 1966 to Melvin Jay Shields and Jan Helsley. She is survived by her parents and a brother, Roger Daniel Shields, and a sister, Jennie Shields Degelbeck. Connie was married on July 4, 1990 to John Timothy Marsh in Tahoe, Nev. They are members of The Church of Jesus Christ of Latter-day Saints, and they were sealed for time and eternity in the Portland Oregon Temple. They have five children, Amanda Marsh Sproul, Jared Marsh, Angela Marsh Tulin, Michele Marsh Lessing, Clinton Marsh, and 11 grandchildren. Connie graduated from Portland Community College in 1997 as a registered nurse. She worked in various medical positions including as an RN from 1989 to 2012 with Kaiser Permanente in Portland, Ore. In 2012, she joined the nursing staff of Providence Health & Services in Portland, Ore.
From 1984 to 1991, Connie served in the U.S. Army in the medical field. She is remembered as a loving mother and spouse, a kind friend and a caring nurse. Her family and friends will miss the memorable days they spent with her at her favorite place, the Oregon coast. Funeral Services will be held on Saturday, June 29 at 1 p.m., at The Church of Jesus Christ of Latter-day Saints, 17235 SW Meinecke Road, Sherwood, Ore., 97140, with a viewing from 11:30 a.m to 12:30 p.m. at the same location. In addition, the family has arranged for a viewing on Thursday, June 27 at Springer and Son Funeral Home, 4150 SW 185th Ave., Aloha, from 6 p.m. to 8 p.m.
John and the family express their thanks and gratitude to Connie’s friends and to her fellow church members in the Tigard, Tualatin and Sherwood area.